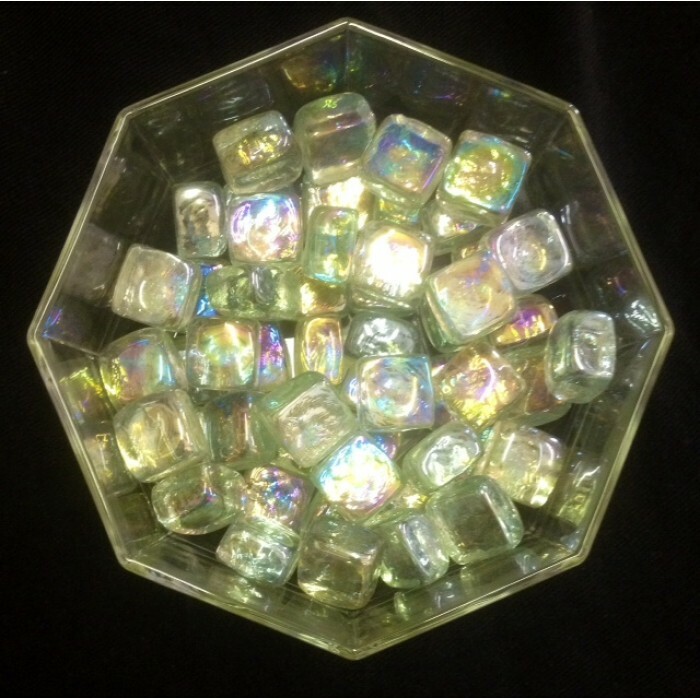 These iridescent marbles are composed of transparent glass that radiates subtle color under light. Each piece changes in color profile upon changes in the angle at which it is viewed. They are the perfect accessory to your craft project or decorative piece and can be used creatively with most floral arrangements. Individual pieces measure 1" x 1" x 0.75." Sold in 22 oz. bags containing approximately 24 pieces each.